Summer is here, which means it’s officially camping season! Time to breathe in the sweet smell of nature, break out the camping gear and head for the hills. When it comes time to pack your meals for the trip, forget the hot dogs and stale buns. Cooking over the campfire can be flavorful, fresh, and dare we say-gourmet. 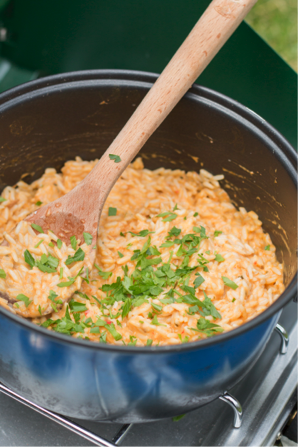 Here are some simple camping recipes to jazz up your outdoor dining this summer. Enjoy! Stock up for your next adventure with a coupon for $3 off your next purchase of Fishpeople entrée starters, bisques and chowders. Available at grocery stores throughout Oregon and Washington. In a large camping skillet, warm an even layer of oil over medium heat. Sauté potatoes and salt until potatoes are tender and golden brown, about 15-20 minutes. Stir in onions and bell pepper, and sauté until onions become soft, about 5-7 minutes. In a separate pot over medium heat, warm chowder until hot, about 5 minutes. 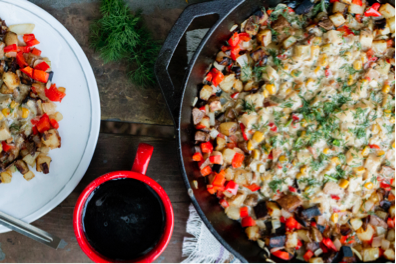 Pour over cooked hash and garnish with dill. 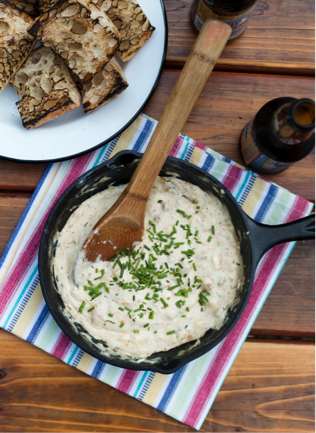 In a camping pot or skillet over medium heat, continuously stir chowder, cheese, and salt until hot, about 5 minutes. Garnish with chives. Toast baguette slices in a lightly greased camping skillet. Serve with warm dip. In a large camping pot, warm oil over medium heat. Stir in rice and salt, and cook for 2 minutes. Stir in lemon juice and cook until absorbed, about 1-2 minutes. 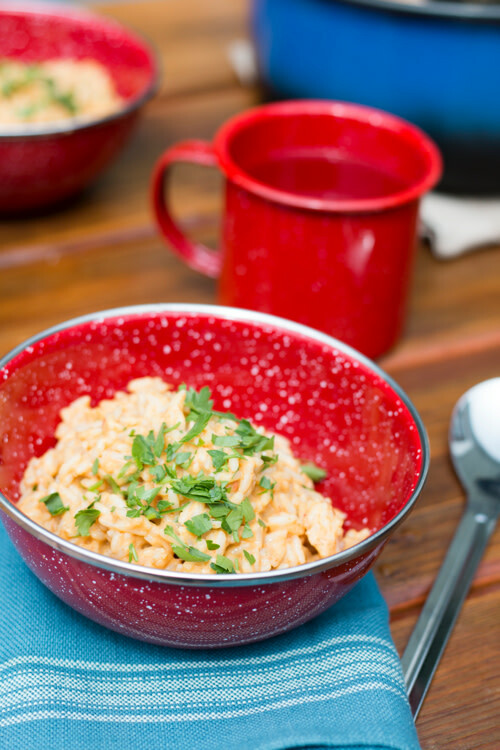 Stir in bisque and mascarpone. Cook until risotto is hot, about 5 minutes. Garnish with parsley. Check out www. fishpeopleseafood.com for more delicious recipe ideas!